Berlin: Borussia Dortmund hammered Borussia Moenchengladbach to roar back to the top of the Bundesliga with Pierre-Emerick Aubameyang scoring a hat-trick in a 6-1 romp. Winger Maximilian Philipp, a rising star who joined from Freiburg, has now scored four goals in his last three league games. 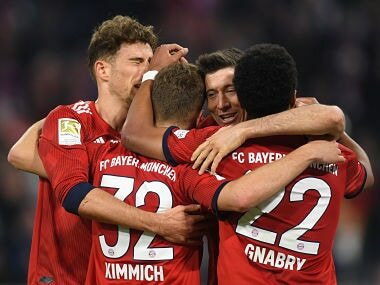 As Thomas Mueller's admitted, Bayern Munich 'gift-wrapped' a point for Wolfsburg when the hosts threw away a two-goal lead in Munich in a 2-2 draw which leaves them three points adrift of Dortmund. Peter Stoger, in charge of bottom side Cologne, is poised to become the second coach fired this season in Germany's top flight with his team rooted to the bottom of the table. After also scoring twice against Cologne last weekend, Germany Under-21 international Philipp is forging a partnership with Aubameyang at Borussia Dortmund. However, only an injury stopped him joining Bayern six years ago when as a 17-year-old on trial with the Munich giants' Under-19 team. "During the trial, I suffered a light tear, so in the end nothing came of it. Looking back, one can say that everything turns out for the best," Philipp, who scored Dortmund's first two goals against Gladbach, told Sport Bild. He ended up joining Energie Cottbus and made his debut in April 2014 for Freiburg, who he left for a club-record transfer of 20 million euros for Dortmund in June ($23.9m). Another partnership is shaping up in Leipzig with Germany striker Timo Werner having scored five goals in six games alongside Jean-Kevin Augustin, who has scored twice and created two in five games. They are also both amongst the fastest footballers in Germany. 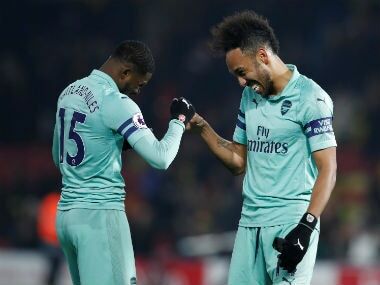 Both scored in Saturday's 2-1 win over Eintracht Frankfurt when Augustin fired home a blocked shot by Werner, who added a second after the break. "They both do really good work and both have the same running style," said Leipzig coach Ralph Hasenhuettl with his team now up to sixth in the table. German daily Bild times Werner's top speed on the pitch at 34.6 km/h, while Augustin hits 32.7. By comparison, Usain Bolt clocked 44.72 km/h when he set the world 100m record in 2009. Manuel Neuer is out until January with a fractured foot and Bayern's replacement goalkeeper Sven Ulreich has not provided a smooth transition. 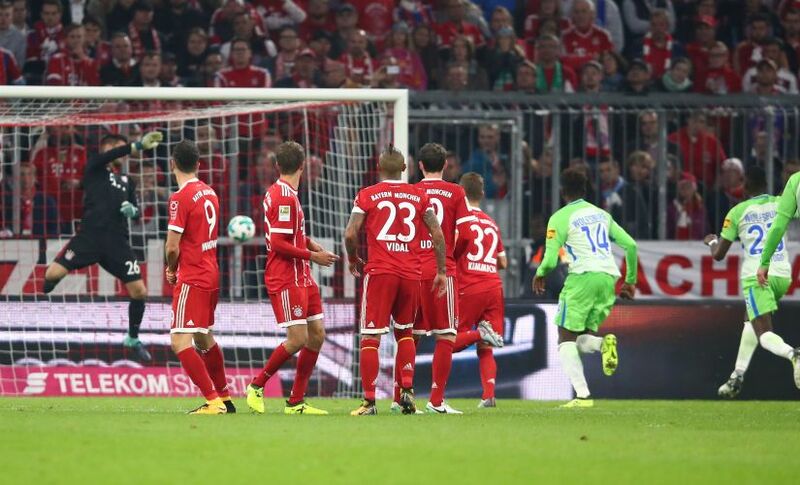 The 29-year-old was beaten by Maximilian Arnold's free-kick as Bayern threw away a two-goal lead against Wolfsburg — which inspires little confidence for Wednesday's Champions League clash at Paris Saint-Germain. 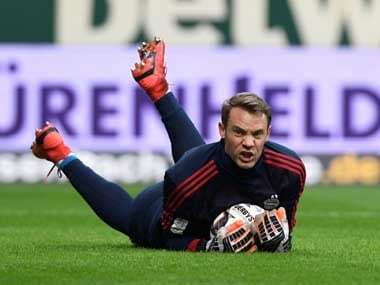 "Manu (Neuer) would probably not have let that goal go in. That is bitter for me, without question," admitted Ulreich. "I hope I will have the opportunity to distinguish myself once or twice." Containing PSG's 'MCN' — Neymar, Kylian Mbappe and Edinson Cavani — would be a good start. A point in Sunday's goalless draw at Hanover meant Cologne avoided equalling the Bundesliga record of losing their first six games. However, his team still bottom of the table and coach Peter Stoeger is trouble, despite the support of the Cologne board. "We have worked successfully together for the last four years, this is the first time things aren't going so well. We have to stick together," said vice-president Toni Schumacher. But unless results pick up, Stoger is in pole position to be the second Bundesliga coach fired this season after Wolfsburg sacked Andries Jonker. Argentina striker Lucas Alario scored on his Bayer Leverkusen debut on Sunday — three weeks after signing from River Plate for 19 million euros and legal wranglings over his contract. The Argentinian FA had refused clearance for the 24-year-old, who replaced Javier Hernandez, to join Leverkusen, even though the German club had paid his release clause at River. Leverkusen only got permission by FIFA to play Alario on Friday and he responded by netting with his first shot in a 3-0 win over Hamburg.